I first came to Greece in April 2016 because like most volunteers, I was moved by what I'd read and heard in the media about the refugee crisis and felt compelled to contribute something positive to the issue. I headed to Lesvos hoping to work with those who had just made the treacherous journey across the sea from Turkey. Just before I arrived on the island, the EU had struck a deal with Turkey, which meant that refugees arriving in Greece could be deported straight back Turkey, which decreased but did not altogether stop the boats arriving on the island. Another impact of this deal was that informal camps, such as Better Days For Moria were closed down and it became much harder for volunteers to access official camps and provide support to those living there. So I headed to Athens where an informal camp had emerged at the port of Piraeus. At this time there were over three thousand refugees living in tents in the sweltering heat, with no access to running water, showers, nutritional food, or other vital services. 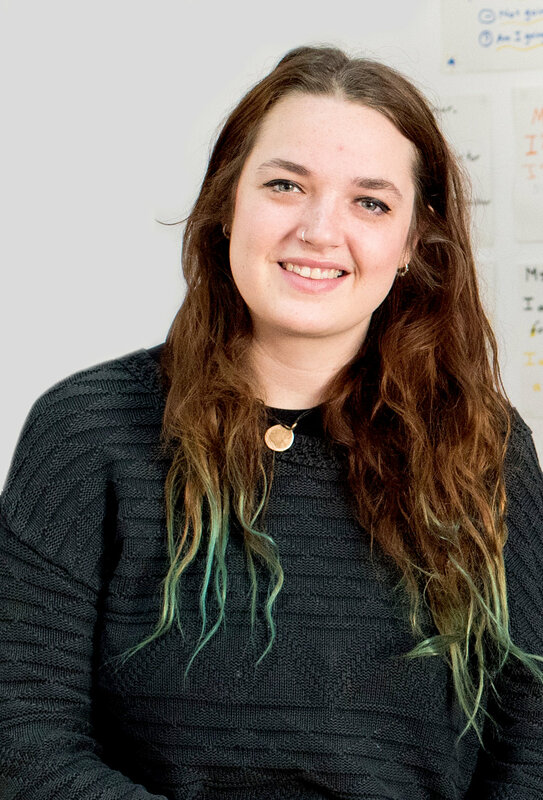 In London my career had started down the path of youth work, running workshops and leading education programmes for teenagers, so I was keen to see if any of my skills could be transferred. I began working with a new project providing educational activities for children living at the port. We worked out of a shipping container, with a small astroturfed and shaded area for the kids to play under. It was apparent from day one that all the children we were working with had been deeply affected by the trauma they had been through, whether it be from their home country, on their journey or the time they've spent living in horrendous conditions in camps. This presented itself in many different ways, some withdrew, some fought, some desired attention, and every child needed tailored support and trauma-informed care. Sadly after a month I had to return home to my job in London, I left with a heavy heart and a strong desire to return. Once home I began saving and returned a few months later in the summer. By this point the camp at the port had been shut down, and the families who had been living their were transferred to camps dotted around the outskirts of Athens or they had sought space in informal accommodations, such as unofficial camps in Athens. I started to look for long-term projects happening in Athens, when I came across Khora, a cooperative set up by volunteers who had mostly met in Lesvos. They had been working on projects like Better days for Moria, Skipchin, and No Borders actions. Since arriving in Athens, Khora had been providing nutritional food and showers at the port camp, until the camp was closed down. Khora had recently acquired a large eight story building in the centre of Athens and were refurbishing it with plans to turn it into a community centre. The space would provide food, information, education, a safe space and other services for migrants, refugees and the local Greek community. I immediately jumped onboard with the project and began helping with the renovations, though this certainly wasn't where my skills lay and my greatest achievement during this period was building a shoe rack that now sits proudly outside the kidspace, as it was too small for any reasonable sized adult shoe! At Khora we wanted to do more than just meet the basic needs of refugees, such as providing food or clothing, but also to meet the social needs that all humans deserve, like education and opportunities to be creative and an active part of a community. So on the third floor we built three classrooms and a computer room, and began to think about the kind of classes we could teach. We knew that languages would be popular and that giving people the tools they need to communicate would be extremely empowering and integral to integration. At this point I met Arnaud the founder of Giving for a Better Future, he was keen to support a project that focused on education, as G4BF also felt strongly that education would give refugees independence and could make a long-term difference in their lives. He offered to employ two local teachers to teach English and Greek, to support me to stay in Greece to coordinate the education space at Khora, and to provide all the educational materials we would need, including textbooks, exercise books, stationery, and a never ending supply of board markers! 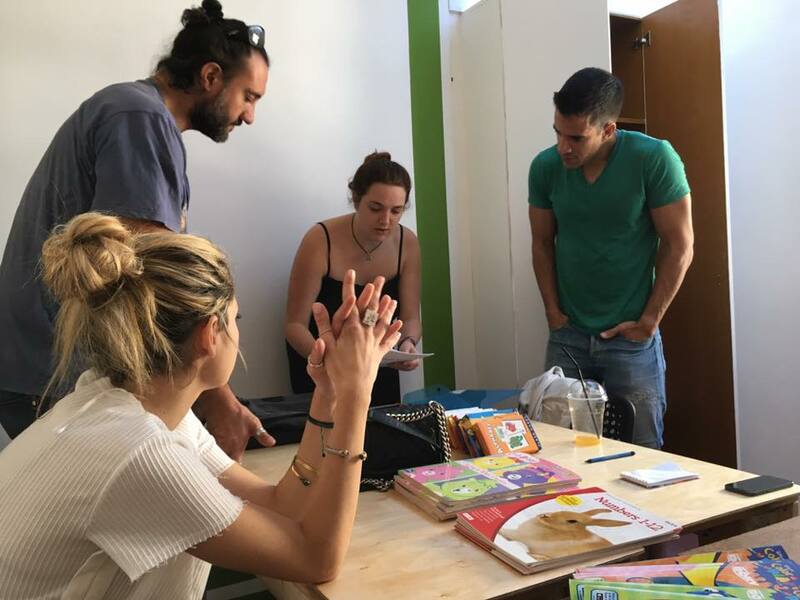 With our two Greek teachers, Nikoleta and Yiannis, and a collaboration with volunteer teachers from No Border School, we prepared a schedule of languages classes in both English and Greek. When we opened the building on October 3rd I remember feeling nervous, wondering if would anyone come or if there'd be any demand for the classes. My anxiety was misplaced as within two weeks every class was full to the brim. Over the following months we had requests for more and more classes, which we worked hard to provide. The classes are incredible, and many students have improved their language skills exponentially. But what is really beautiful is the relationship that many students and teachers have built and the learning that both do when cultural exchanges takes place in a space where country of origin, religion, gender or any other potentially divisive factors are respected. The demand for classes became so large that we could no longer meet it and sadly we had to start turning new students away. When I presented this dilemma to Arnaud and the Giving for a Better Future team, we began to talk about the idea of opening a building that could be dedicated purely to education. 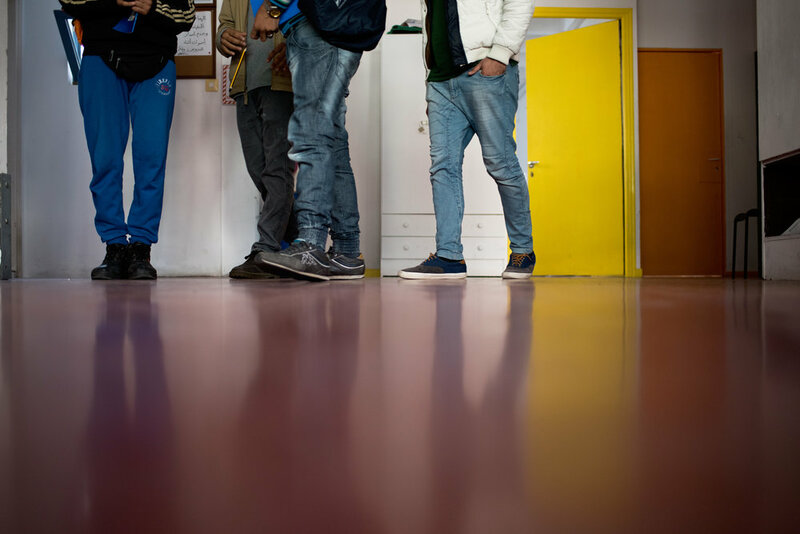 Many refugees have no option but to claim asylum in Greece, due to the cessation of the relocation programme in Greece and the closing of the borders along the Balkan route. There is also still a steady flow of people arriving in Greece every week, those who are so desperate that they see no other option but to risk everything in the hope of a better life in Europe. This means that the number of refugees living in Athens and needing support is not going to end, in fact it is likely to increase. Therefore the need for long-term projects like an education centre that will support refugees who have no option but to stay in Greece is vital and needs all the support it can get. If you are able to support us in anyway, small or large please do.